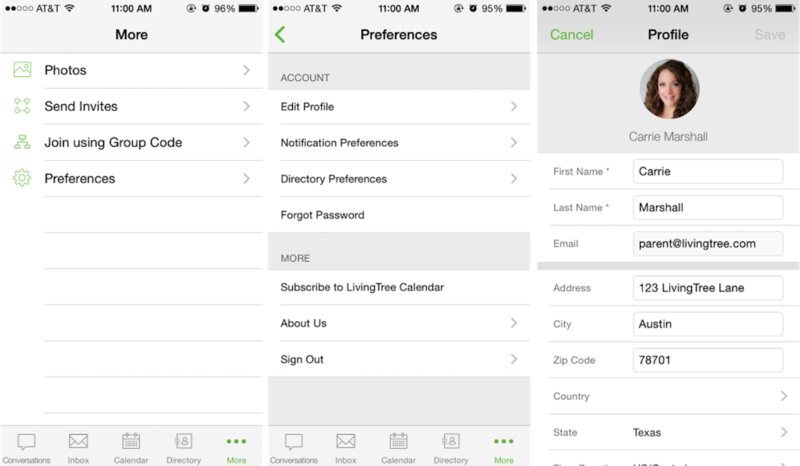 You can also search for and view your contacts in the Livingtree app! 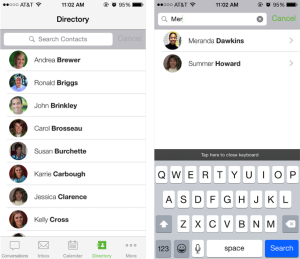 Tap on 'Directory' to browse your contacts. 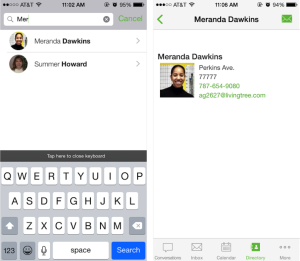 Use the search field to find a specific contact by typing their name. Tap on a contact's name to view their profile information. If you want to send them a direct message, tap the green envelope to begin composing your message. To edit your profile and contact information on the mobile, tap 'More' then select the 'Preferences' tab. Select 'Edit Profile' to update your name, mailing address, phone number, etc. Be sure to save your changes. You can adjust what information is visible to others in the app as well. 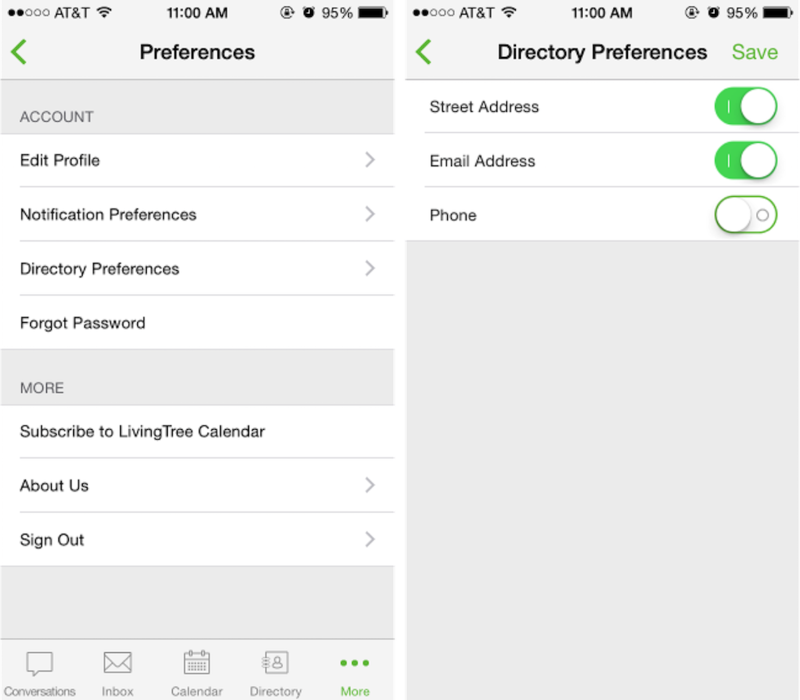 Tap 'More' > 'Preferences' and select 'Directory Preferences.' When the switch is green, that particular contact information will be visible by others. Tap 'Save' to keep your changes.